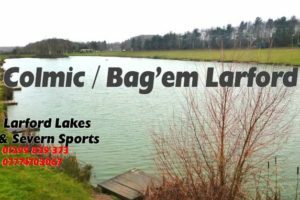 Winner of the Match Lake on day 3 was Ray Lamb with 126-800 kilos (281lbs) from peg 4. Ray fished short and down his edges with maggot and meat. Rocky fished short and down his edge on pellets and meat. Dale fished hard pellet short and down his edge. Mick caught on bomb and pellet and method short. Andy Power (Preston) won yet another section in fine style drawing peg 74 on the chalet bank. Andy caught mainly on the pole short and down his edges on pellet and meat weighing in 101-300kilos (225lbs) picking up the overall lake win. Section D winner by default was Matt Marshall (Colmic) who drew peg 70. Matt weighed in 91-300 Kilos (203lbs) fishing the method short and pole short with hard pellets. Lake winner was Martin Room from peg 9 with 67-540 Kilos (150lbs). Martin caught all day on bomb & pellet. Overall weight (50 Anglers ) after 3 days 8553.390 Kilos or 19,006lbs. Average per man after 3 days 127lbs per man per day.